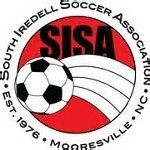 Lake Norman Soccer Club (LNSC) is excited to offer SISA players an opportunity for extra practice with our professional coaches. Players will be coached on the key fundamental skills of the game, through the use of exercises, fun games, small-sided play, and scrimmages. In addition to the soccer practices, players will also receive a t-shirt. Our ‘Future Stars’ program is designed for current SISA players, aged 7-11, and who are wanting a taste of more competitive soccer which focuses on individual skill development, small group tactics, and preparation for Lake Norman Soccer Club travel teams. LNSC is home to around 1,600 soccer players and is located in Mooresville, North Carolina. Our club is proud to bolster an extremely significant history while looking towards an even more impressive future. Over the past 39 years, soccer in Mooresville and the surrounding areas has changed in many ways, with LNSC always being at the forefront. NCYSA Academy soccer (Boys & Girls U9-U10), Classic soccer (Boys & Girls U11-U19), Premier and USYS Regional play (Boys and Girls U14-U19). Our boys' program from U13-U19 is called the ‘Force’ and our girls' program from U13-U19 is called the ‘Eclipse.’ Both programs are designed to push the elite/aspiring player to the next level. These teams train up to four times per week and compete in some of the nation's most prestigious events. The Eclipse and Force programs compete in the Elite National Premier League of US Club Soccer. 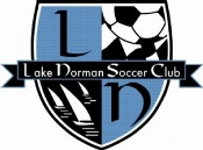 "The Lake Norman Soccer Club strives to create a balanced and comprehensive experience through a competitive soccer environment."